Maybe I’m scrabbling for content. Content as in copy, not the state of peaceful happiness. In any case here’s some dross. 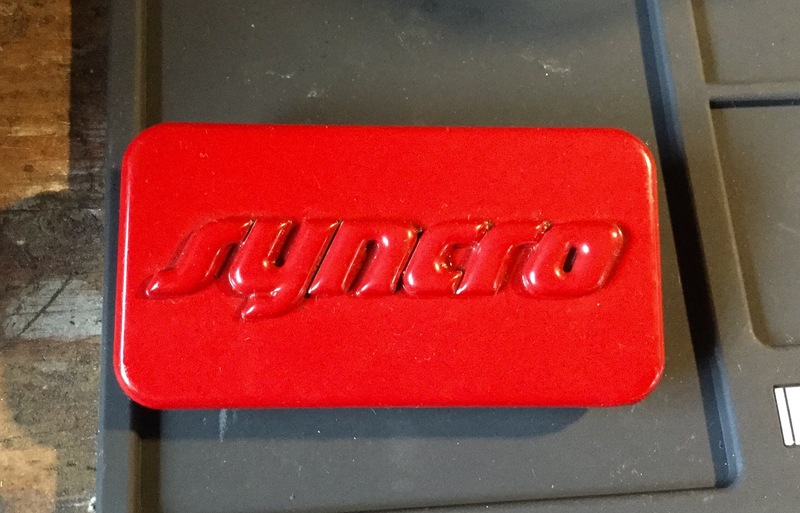 First up is a Syncro badge. It’s from the same 91 Passat Syncro that gave me one of the instrument clusters I posted about a few weeks back. 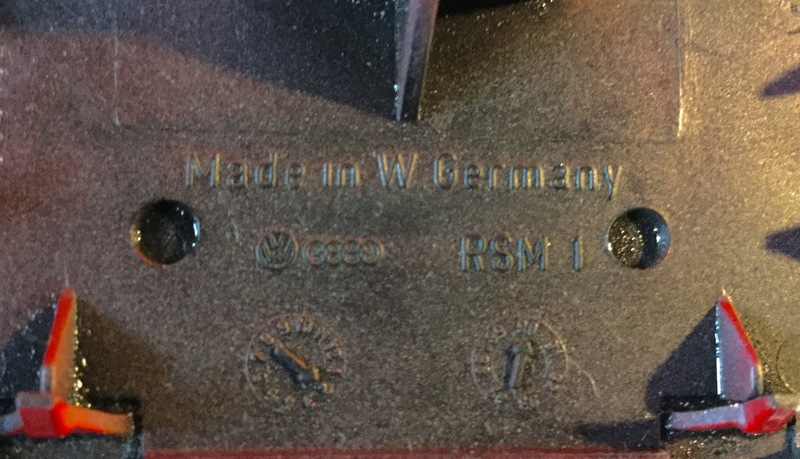 Kinda nice little thing and it’s interesting that the date of manufacture is February 1990 and it’s marked made in West Germany. Wasn’t until August of that year that the two states officially merged. I find it so hard to believe that someone born then will be 27 this year. Next are led lights for the front turn signal/running light. So many choices for this light, I ended up with this unit from Banggood. Supposed to be a “switchback” light, well that’s what I thought. I was expecting the running lights (the white led elements) to go out when the amber turn signal elements are powered. And if you read the reviews you’ll see that at least one buyer had a bulb that worked that way. But both of my bulbs don’t waltz to that tune. The white elements remain on while the amber elements flash. And finally a preview of another silly project I’m working on. A while back I discovered a rear side marker light replacement for the stock vanagon unit. It’s a little narrower than the original but the length is okay and the screw holes are right on. Trouble is that it’s rated as 24 volt. So I ordered some cute little 12 to 24 volt boost converters. Well it turns out that the lights work fine on 12 volts, certainly bright enough to be used as is. But then I had an idea. How about if I tap into the rear turn signal power so that the side marker would light up brighter with the turn signal power. Simply put, the side marker gets 12 volts as usual, but the turn signal power goes through the boost converter. I set up a crude set up and it works out fine. 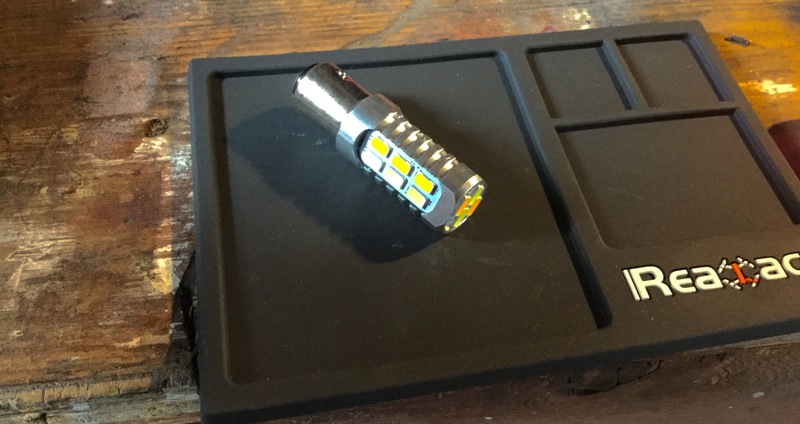 In the video you’ll a spot light to provide some load for the regular flasher unit ( I have an electronic flasher unit installed in the van and that plays nice with the led front turn signals), and you might notice the two diodes in the circuit to stop power going the wrong way. I’ve got some aluminum guards to paint before I install this in the van. I’ll show you more later. This entry was posted on March 25, 2017, 5:34 pm and is filed under vanagon, vanagon mods. You can follow any responses to this entry through RSS 2.0. You can skip to the end and leave a response. Pinging is currently not allowed. Oh boy, what a dusty dirty chore that must have been. Can you imagine doing it again now? Not sure if the side marker project was worth the effort. But I did enjoy figuring out the simple electrical circuit. I’m a complete tyro when it comes to any dc circuit more complicated than a source, switch, and load.